Here is a list of best free Font Maker Software. These font maker programs let you make your own fonts or can edit existing ones. All these Font Maker Software are completely free and can be downloaded to Windows PC. Supports various font formats for importing and exporting; formats include: TTF, OTF, FON, FNT, BMP, PS, BDF, SVG etc. You can draw characters and save your unique creation in the above said formats. As per my testing, FontForge is the best free Font Maker software in this list, as it has lots of features. For e.g. it has more tools to draw or edit existing font characters. You can also try these best free Font Converter Software, Font Viewer Software, and Vector Graphic Editor Software. FontForge is a cross platform free font editor for Windows and other famous operating systems. You can create your own font, or modify any existing font. It supports various font types. These formats include TrueType (TTF), OpenType (OTF), PostScript (PS), and many more. You can easily use lines, shapes, curves and can use your imagination to draw characters. To create a font, go to File>New, select the letter for which you want to create font, and a workspace appears. You can begin creating a font by drawing a freehand shape, and later you can use various tools to modify it. These tools include: Measure distance and angle, change/modify curve points, add curve, tangent, and corner point, flip, scale, rotate, shapes, and much more. Once done with a font, save it; you can save your work in its native .SFD format. For creating font file, you have to choose Generate Fonts command from File menu. The program might look a bit difficult to use, but is really easy to use and understand. 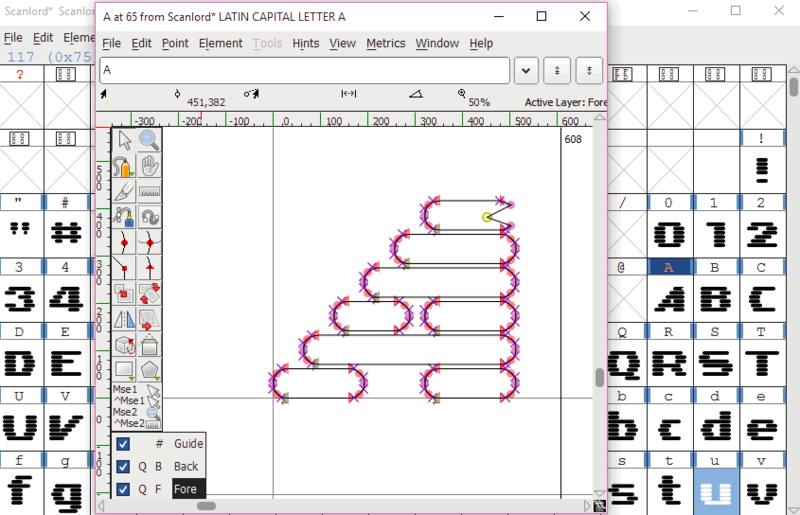 Type light is an easy to use font maker software available free for Windows. You can create new font from scratch or can edit any existing. It has various tools to draw and edit font characters, like: pen, line, rectangle, ellipse etc. It has Conner curve, Straight curve, Smooth curve, and Off curve tools also for precisely editing nodes and curves. It has zoom in and zoom out commands also. The edited or newly created font can be saved in OTF and TTF format. The program is lightweight and uses low system resources. 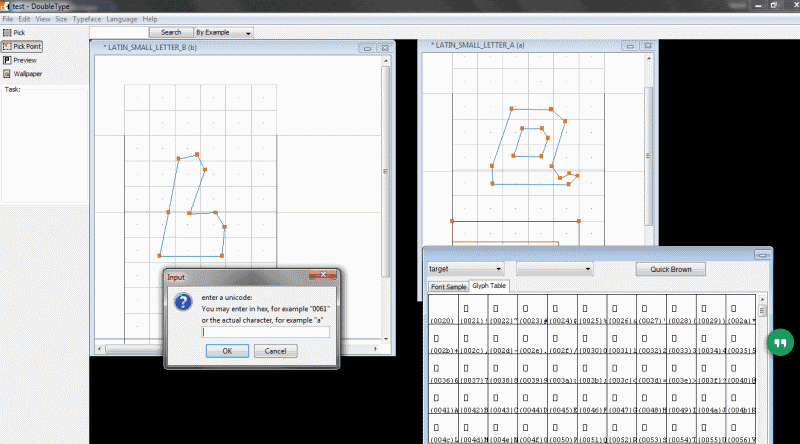 Raster Font Editor is a free and easy to use bitmap font editor, maker and converter. You can use this portable software from your pen drive also. You can create your own font from scratch or edit the required one by opening. It has a text "Text Preview" window, which lets you to preview the font before finalizing. You can save the font in .FNT (font resource file) format for later editing or compiling. It has an import feature also, which lets you import from BMP, TTF, and DOS 8x16 fonts. You can finally save the font in BMP, BDF, and other formats. BirdFont is a free, open source, and easy to use font creator software which lets you create fonts from scratch or edit the existing one. You can draw or create vector graphics and then export them to TTF, EOT and SVG fonts. 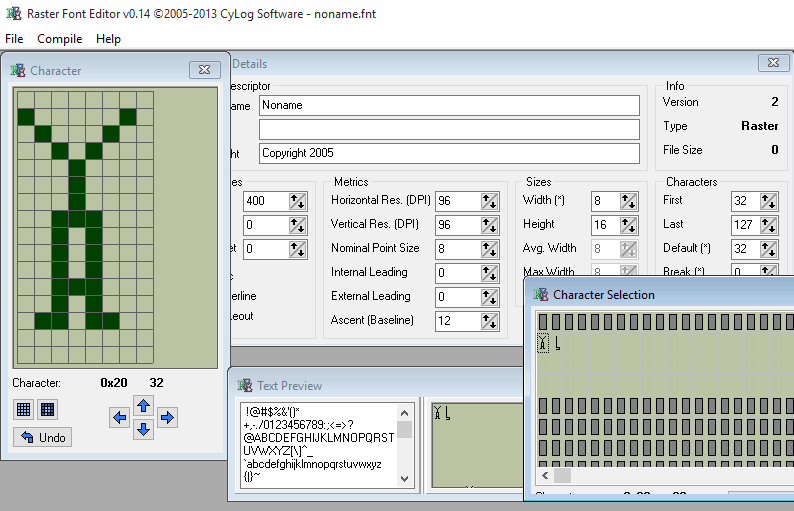 You can draw individual characters (alphanumeric and special characters) as desired. It has various drawing tools, like: line, freehand, move canvas, move path, and various others. Geometric shapes can also be added and edited. You can customize the program settings from settings menu. Various shortcut keys can also be configured as per requirement. TTFEdit is another font creator software in the list. It can modify or edit the existing ones also. You can use its templates to create a new font. It is a java based program and is platform independent. 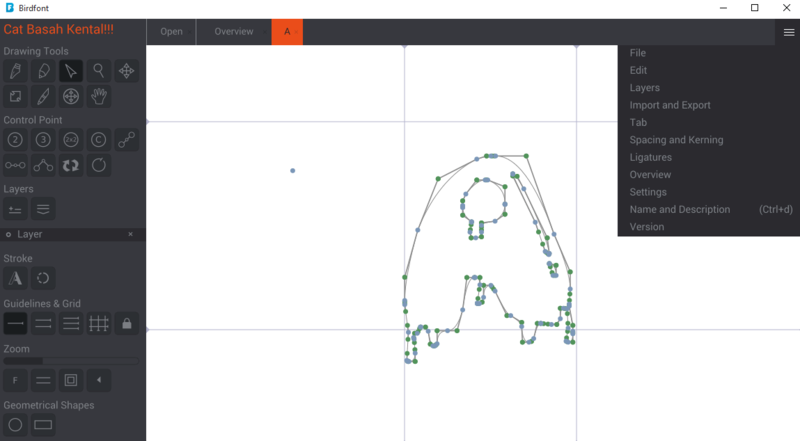 You can edit the shape of any character or letter by modifying its curves in the Glyph Editor. You can use your imagination to create or edit fonts of your choice. 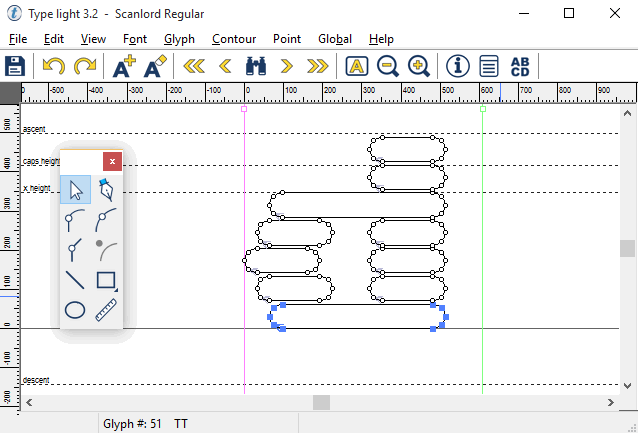 Fony is a small, free, and easy to use bitmap font editor. It lets you create or edit bitmap fonts. Supported formats are: FON and FNT. You can draw font characters with the help of mouse. You can open and edit installed fonts also. You can preview the font by pressing Ctrl + T from keyboard or click "Font Preview" from View menu. After finishing you can save the font in .FON or .FNT format while you can use export command also to export the font in BMP and BDF format. It is a portable program and does not require installation. You can run it from a pen drive or any removable disk too. Double type is a free Font generator software. This multi-platform software works on Windows, MAC OS, and Linux. This font creator software creates True Type Font files on your computer. To create a Font, Open DoubleType, go to File>New>Glyph, select a letter for which you want to create the font. A work space will appear, where you can render the font with the help of various tools. There are various tools available to help you create a font, like: Add a hint, Add a point, Create module, Create contour, Create Include, Pick a point, etc. While you are working with a font, you can also preview them on this Font creator software. You can create simple, as well as complex font designs by increasing the size, and DPI of the work space.